I'm on my way to London this afternoon for a few wee fun worky things (as always, you can keep up with those on my insta stories if you so wish) but I'll still have another outfit for you tomorrow! If my calculations are correct, you have three more outfits and then my big whopping Paris guide after those. I love this look! 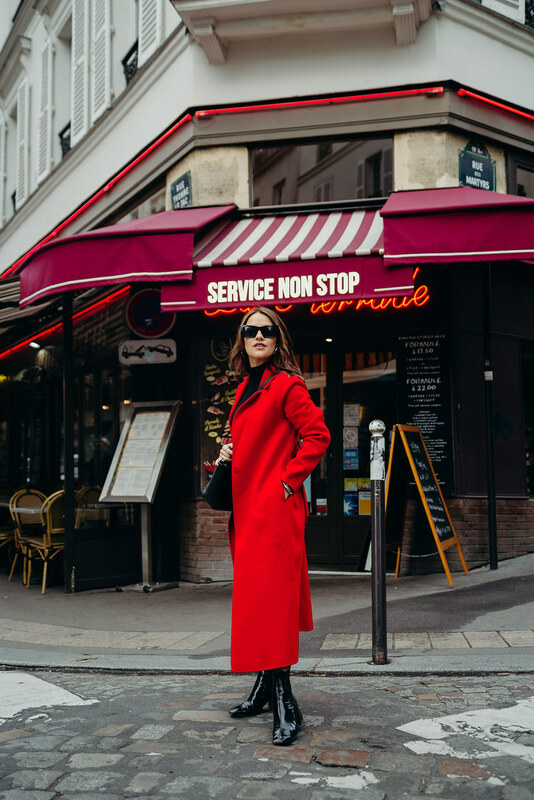 The red coat is gorgeous! AHHH that coat is gorgeous and I love the quirky glasses, crazy cool glasses are always my weakness. love the red against the leather skirt and boots! You look stunning. 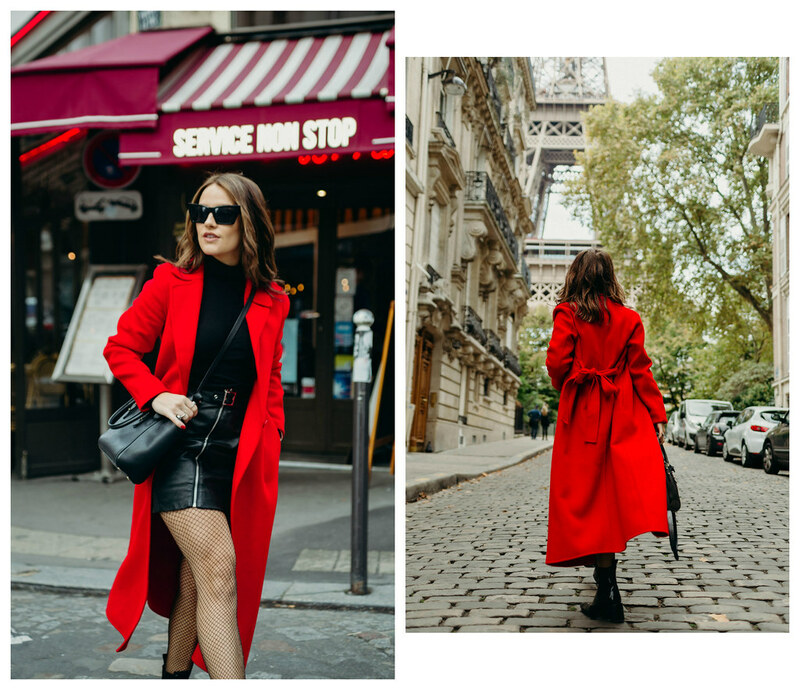 I love that red coat.